AVRUPA TIMES/LONDON-The charming town of Gocek sits where the Aegean Sea meets the Mediterranean and is a popular destination for yachting enthusiasts. 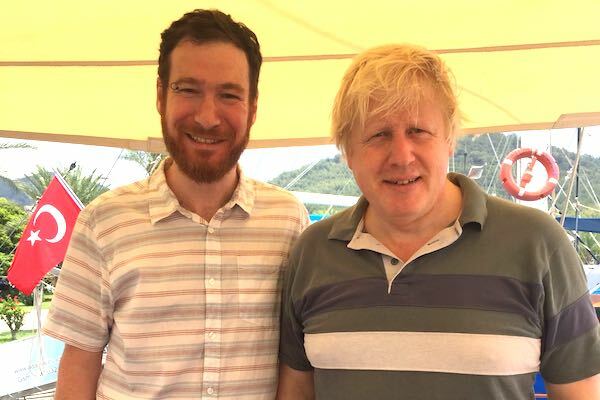 This is the second time Mr Johnson has visited this idyllic location. Mr Johnson and family chartered a gulet, a wooden sailing boat, designed for leisurely cruising along the Turkish Riviera. They visited many secluded bays and islands, some of which are only accessible by water such as Yassica Islands and Sarsala Cove. At the end of the trip they told Ahmet Guler, Director of Gulet Escapes, that they saw many amaz-ing places, ate delicious food and had an absolutely relaxing holiday. They clearly experienced excellent Turkish hospitality. Mr Guler said that the Johnsons were very humble with their requests and very polite, which made it a pleasure to organise their holiday. Gulet Escapes is a London-based company specialising in gulet charters and small cruises in Tur-key and other destinations, which provides a personalised service to all their guests. Visit www.guletescapes.com for more information.